Costs: 3000€ excluding VAT (excluding accommodation and transportation). Don’t hesitate to contact the EVE team for more information about the next edition. The place for the 2019 edition will be at the Sofitel Singapore Sentosa. The EVE team is in charge of booking and assigning you a hotel room together with the participating companies. We will send you a confirmation email one week before the event. We remind you that transfer is at your own expense. 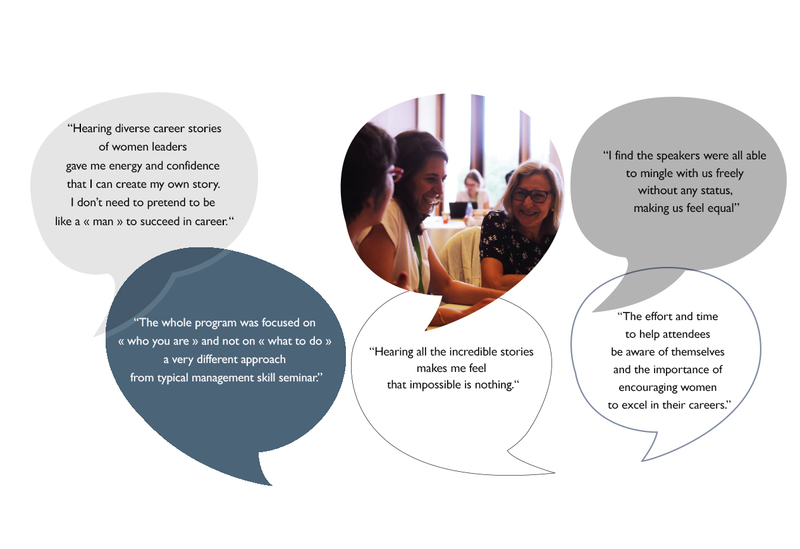 Unlike other women seminars, EVE Asia-Pacific has been set up by Danone & L’Oréal, and it is supported by at least 10 companies : it is based on companies’ insights and experience of the issue.